The task of the Florentine Civic Museums is to conserve and enhance the city’s art heritage, making it available for public enjoyment in the broadest and most democratic manner possible. They represent a public service, with cultural and social functions, and a right of the citizens. The Florentine Civic Museums are made up of a wealth and exceptional variety of collections mostly housed in ancient buildings: the Museum of Palazzo Vecchio, the Museum of Santa Maria Novella, the Firenze Com’era museum in the convent of the Oblates, the Fondazione Salvatore Romano in the refectory of Santo Spirito, and the Museo Stefano Bardini that reopened in the Oltrarno district in April 2009 after 10 years’ work of renovation and rearrangement. Alongside these museums, which are now open to the public and recorded approximately 500,000 visitors in 2008, are the Forte Belvedere, open only pour temporary exhibitions, the Museo Novecento (next opening 24th june) a very interesting anthology of the italian art of the 20th century, and the Galleria Rinaldo Carnielo, currently closed and awaiting a new layout project. In addition to the Museums is the series of Churches "with their paintings, statues, church furnishings, and all the works of art and sacred accessories that they contain", acquired on loan for use through the provisions of the Guerri Deed dated 29/04/1868, following the law ordaining the suppression of the religious institutions signed by the Minister Siccardi in 1866. Among them, we can mention: Santa Maria Novella, with its monumental cloisters, Santa Maria del Carmine with the Brancacci Chapel, San Firenze, Santissima Annunziata and Santo Spirito. These churches are joined by a series of other religious buildings, for which the Florentine Civic Museums have acquired competence in different ways over the years as far as the moveable works of art are concerned. These include San Salvatore al Monte, San Giovannino degli Scolopi, the Chapel of San Romano in Settignano, Santa Maria del Pellegrino, San Giuseppino. 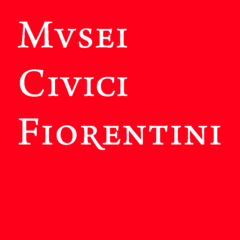 The Florentine Civic Museums are responsible for the management, conservation and valorisation of a heritage of works of art that also includes the numerous collections that the City Council has received in the form of bequests and donations from collectors, artists and civic institutions, part of which have been incorporated into existing Museums, while the remainder is housed in the repositories of other institutions.